Every now and then when shopping for vases I stumble upon one that really causes me to understand why I can become so very passionate about pottery and building a pottery collection. Frequently that vase will wind up in my personal collection or be offered to a specific client that may have expressed a strong interest in the maker or in the style of vase that I have come across. 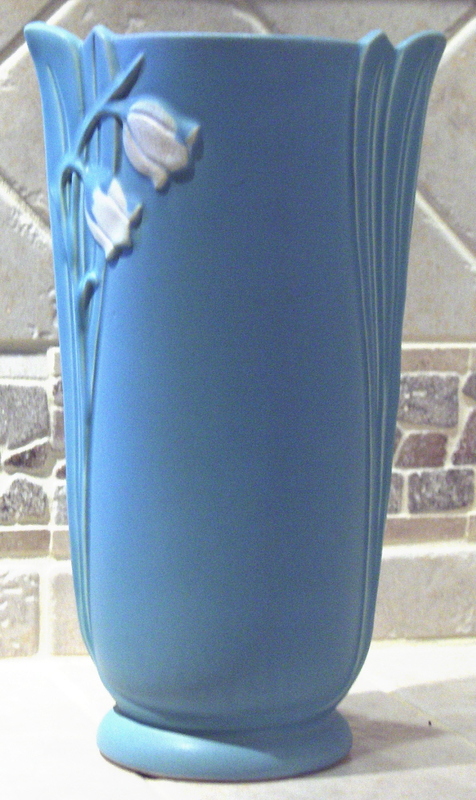 When I first saw this blue Weller “Bouquet” vase I was initially drawn to the color. If you have read my past blog entries you know that I love blue and all things blue. This blue Weller vase is that special blue that immediately transports me to a summer sky or to the calmest of mountain lakes. I was immediately hooked and knew I had to have this vase and I had to share this vase with my customers. So it is making its debut at this Virtual Flea Market and I hope you see just how beautiful of an example it is. E-mail us direct at BillyBlueEye@cox.net or call 949-842-8732. The “Hudson” series of vases all have some hand-painted elements to the design. Each vase is therefore unique and unto itself. 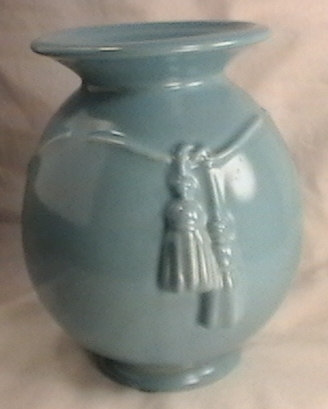 The 1920’s releases of “White and Decorated Hudson” and “Blue and Decorated Hudson” vases have a special charm and the delicate usage of simple brush strokes make them exceptionally unique. This example, which has been pictured in this blog before, is truly a wonderful find and deserves a prominent home in one’s collection. 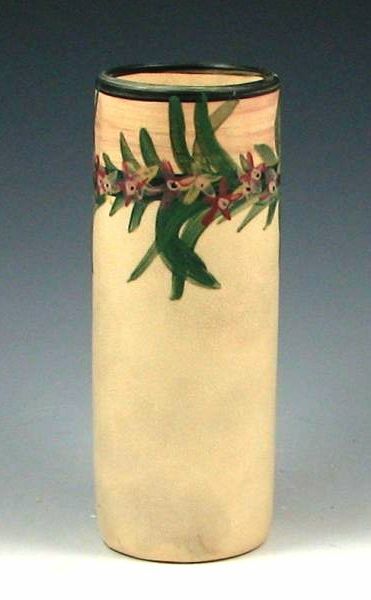 Weller Pottery, c.1920’s “White and Decorated Hudson” 8.5″ Cylindrical Vase, $259.00 SOLD! 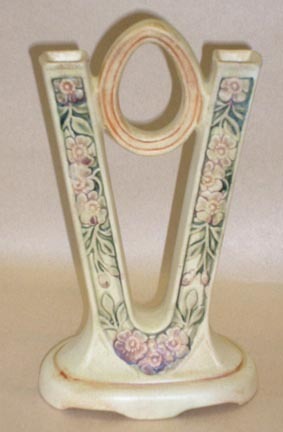 Hi, I just found a vase like Darcie, says Weller on the bottom but it is only 5.5 inches high. Does that mean that it is an imitation?